Crowns are one of today’s more popular dental procedures for replacing a missing tooth or fixing a damaged or decayed tooth. Mitchell Wechsler, DDS, is a skilled and compassionate dentist who has made crowns for many of his patients at Lancaster Dental Group: A Wechsler Family Practice, located in Lancaster, California. If you’re in need of a crown and would like to learn more, schedule an appointment with Dr. Wechsler by calling the office or using the convenient online booking tool. A crown is a prosthetic tooth cap that’s placed over an existing root structure, such as a dental implant or your natural tooth root, and is designed to look and feel just like a natural tooth. They can cover up a missing tooth, reinforce the strength of a damaged tooth, or protect a decayed tooth from further harm. 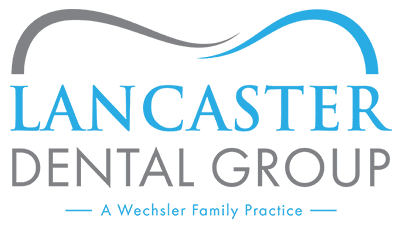 At Lancaster Dental Group: A Wechsler Family Practice, Dr. Wechsler only uses non-metal substances for his restorations, since they’re typically more durable and visually blend in better with your existing teeth. Crowns can also fix any number of problems that are caused by missing teeth, like shifting teeth or difficulty speaking or eating. What’s the process for getting a crown? Dr. Wechsler installs your crown in two office visits. During the first visit, he takes digital X-rays to determine the state of the tooth that’s getting the crown. Next, he numbs your gums and surrounding tissue with a local anesthetic, and shaves off a portion of your tooth’s enamel to provide room for the crown to be placed. Once this is complete, he takes an impression of your tooth that he sends off to a lab, where your crown will be custom-designed to fit perfectly in your mouth. Before you leave, he fits you with a temporary crown while you wait for your permanent one to be fabricated. Once your crown has been made, you’ll come back to the office for a second visit. Dr. Wechsler removes the temporary crown, cleans the area, and places the permanent crown. He checks size and fit to make sure that it’s in line with your bite, and then seals it to your tooth with dental cement. You’ll be able to eat normally and smile confidently as soon as you walk out of the office! To learn more or to begin the process of getting a crown, make an appointment today with Lancaster Dental Group: A Wechsler Family Practice by calling the office or using the simple online booking tool.